Armen Anush's world came tumbling down in 1915 when the Ottoman government deported and subsequently massacred the Armenian community in his native Urfa as part of a larger plan to exterminate the Armenian population of Anatolia. A boy of nine at the beginning of the genocide, Armen Anush witnessed the cold-blooded atrocities that the Turks committed against thousands of innocent Armenian deportees before and after reaching the infamous city of Der Zor in the Syrian desert. Surviving the carnage almost miraculously, Anush was raised in the orphanages of Aleppo and went on to become a distinguished educator and author. 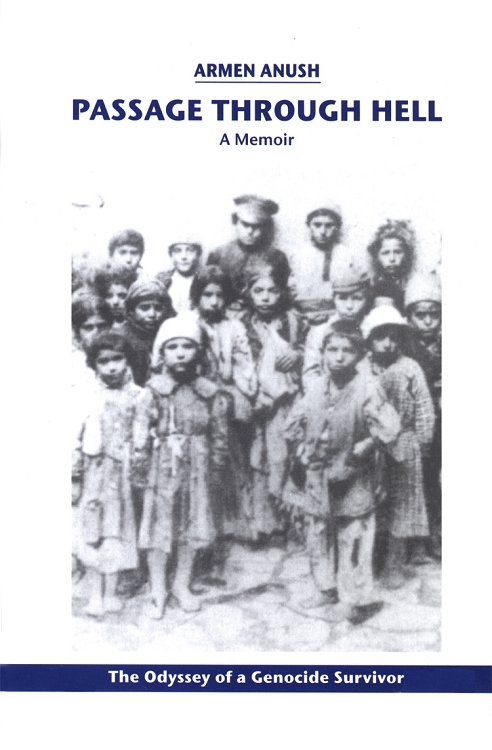 In his memoir Passage through Hell, the author recounts the horrors of the genocide and its psychological impact on the survivors. In vivid, documentary detail and in a style at once poetic and compassionate, Armen Anush tells a story of irreplaceable loss and ultimately life-affirming transformation. Armen Anush; translated from Armenian by Ishkhan Jinbashian.